DUBLIN ACTOR BARRY KEOGHAN has secured a place among the rising stars on US entertainment trade publication The Hollywood Reporter’s Next Gen Talent 2017 list. The former Love/Hate actor features alongside Millie Bobby Brown from Stranger Things, Game of Thrones’ Nathalie Emmanuel and Star Wars: The Last Jedi’s Kelly Marie Tran on the list. Keoghan received a huge amount of praise for his roles in Dunkirk and The Killing of a Sacred Deer this year and has also featured on Variety’s 10 Actors to Watch list for 2017. He began his acting career in 2010 when he got his first role after noticing an advertisement for actors in a shop window. 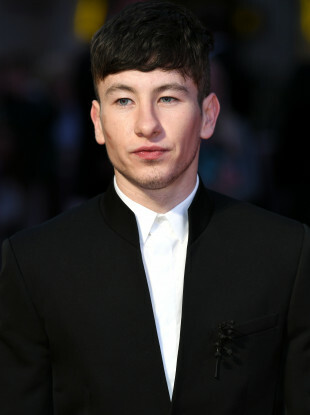 Speaking to the publication in an interview earlier this year, Keoghan explained that his onscreen vulnerability stems from a tough upbringing. “Heroin came into Dublin, and it caught every family. My mother was one of the unlucky ones. She got caught on it, then she passed away.” Keoghan told The Hollywood Reporter. Keoghan was raised by his grandmother after his mother passed away. “She’s a tough one. I’ll come home off a film set where I’m getting pampered, and I’ll get a slap in the head if I don’t make my bed. That’s what I love about her,” he said. Keoghan’s upcoming projects include heist film American Animals and famine drama Black 47. Barry Keoghan isn’t the only young Irish actor getting Hollywood attention lately. Critics have been praising Saoirse Ronan’s “astonishing” performance in Lady Bird, which was released in the US over the weekend. The film was written and directed by actress Greta Gerwig – it’s her first foray behind the camera after starring in indies like Frances Ha and 21st Century Women. The film rushed to the top of the box office charts after debuting over the weekend, and has received a rapturous response from audiences and critics alike. It now has a perfect 100% Certified Fresh score on Rotten Tomatoes, which collects film reviews from the world’s top film journalists. “A miracle of an actress… With her expert comic timing and nuanced dramatic shading, she is, quite simply, astonishing. The actress lets us into the mind and heart of Lady Bird, right down to her frayed nerve endings,” Pete Travers of Rolling Stone said. With reporting by Valerie Loftus. Email “Dublin actor Barry Keoghan chosen as rising star in the US”. Feedback on “Dublin actor Barry Keoghan chosen as rising star in the US”.